Julie Harmon, Miss America 2016: Hi. 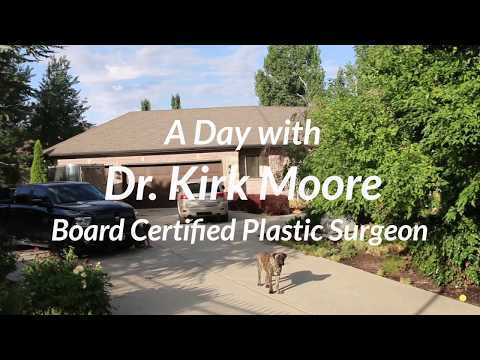 My name is Julie Harmon and I'm one of Dr. Kirk Moore's clients. The reason why I'm doing this video is to share a little bit about my experience with you. I was so elated when I discovered Kirk Moore's website online. I had done some research for maybe say six to eight months and I hadn't found anything that fit me. And I was toying with the idea of having a breast augmentation because I had two daughters that were ages 11 and 9 and I thought it was finally time to do something for me. And so when I looked at his website, I felt excited because he had new technology, he had a great team, he had great experience and expertise. Everything that I was looking for. And so I made a consultation and when I actually went to the office I felt right at home. I was so excited, there's murals on the walls, it's so inviting, it's so beautiful and the staff is hands down amazing. And so when I got to know the staff and they started answering my questions, anything that I had to ask. They were wonderful. They put me right at ease, I felt comfortable, I felt confident that this was actually the place that I needed to be. And so once I went through the experience, then I realized that this was gonna be a process. This is not something that just all of a sudden just happens. You actually need a team that can work through any kind of concerns or questions you might have and that's exactly what they did for me. And I really didn't hesitate in getting my surgery done, I was ecstatic actually. I'd waited for over a decade to have this done and it was something I was not wanting to wait for anymore. And so I'm so happy that I went with this team and with the doctor that I chose. It actually was an amazing experience, emotionally, physically, everything actually. It just changed me. Much more than I expected. Before I'd had the surgery I'd ask people around me, "Well what do you think? Do you think this is a good idea?" Everyone has an opinion. And even my daughters had their own opinion or my parents or best friends. And of course I'm gonna take it all into consideration, but when it came down to it, it was my decision. It's my body, it's the way that I want to come open and appear to others, and I'm an actress and a model. I'm behind the camera a lot, but I'm in front of the camera quite a bit too. And I just wanted to be on the outside what I felt like I was on the inside. And that's really why I made this decision. And ever since I've been elated. It has been something that hands down is one of the best experiences of my life. And I'm in appearances all over the state and even across the nation and I have to look the part, I have to look the way that I feel on the inside. And I'm so grateful for Kirk Moore's team. They gave me that experience that I wanted and I couldn't thank them enough. I hope that you have a wonderful experience too.